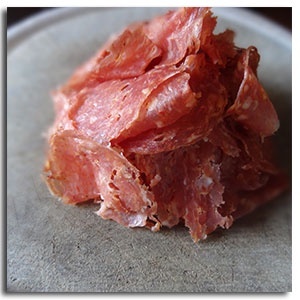 Add 1/4-pound of delicious wine-cured pork salumi to any tray. There are roughly 24 slices per 1/4-lb. Simply change the quantity to increase the amount in 1/4-pound increments.